IITP Junior Recruitment 2018 2019 | IITP invites Application for the post of 29 Junior Superintendent, Junior Assistant Posts. 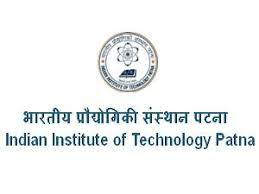 Aspirants Download Application Form through Official website www.iitp.ac.in | Opening Date and time for Submission of Application is 02.10.2018 and end up by 05.11.2018. 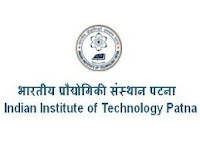 You can check here IITP Recruitment Eligibility Criteria, Pay Scale, Application Fee/Exam Fee, IITP Selection Process, How to Apply, IITP Syllabus, IITP Question Paper, IITP Admit Date Release Date, IITP Exam Date, IITP Result Release Date & other rules are given below.. Aspirants are requested to go through the latest IITP job recruitment 2018 fully, before applying to this job. As per the recent IITP notification 2018, the eligibility details like Educational Qualification & Age Limit for the Junior Superintendent, Junior Assistant job has given below. Master's degree in any discipline with a minimum of 55% marks or its equivalent or relevant grade point average along with (i) Nine years' of experience as Assistant Professor in the Academic level 10 and above with experience in educational administration, OR (ii) Comparable experience in research establishment and for other institutions of higher education, OR (iii) 05 years' of administrative experience as Assistant Registrar or in an equivalent post. Note: Chartered Accountant (CA) will be considered as Master Degree holder. B.Tech. / B.E./ Master's degree in any discipline / M.B.A. or equivalent degree, with a minimum of 55% marks or equivalent grade point average with relevant experience of 06 years after the qualifying degree, out of which 05 years should be at level 6 and above or equivalent in handling recruitment or placement. M.B.B.S degree with a minimum of 55% marks or its equivalent grade point average rom a Medical Council of India (MCI) I recognized university Institute with relevant and experience of 03 years after the degree in a large multi-specialty hospital set up. B.Tech / B.E or equivalent degree in Environmental Engineering I Public Health Engineering / Civil Engineering (with Environmental/Public Health specialization), with minimum of 55% marks or equivalent grade point average with relevant experience of 06 years after the qualifying degree, out of which 05 years should be at level 6 and above or equivalent OR M.Tech I M.E with minimum of 55 % marks or equivalent grade point average, with minimum 04 years of relevant experience after the qualifying degree out of which 03 years should be at level 6 and above or equivalent. Bachelor's Degree (10+2+3 pattern) in Commerce with Intermediate CAIICWAIICSI with 02 years of relevant experience in accounting, Internal Audits, Finance, Budgeting etc. after the qualifying degree OR Bachelor's Degree (10+2+3 Pattern) in Commerce with 04 years relevant experience in the field of accounting, auditing, Annual Account. Finance, Budgeting etc. after the qualifying degree. (i) Bachelor's degree in any discipline with relevant experience of 04 years after the qualifying degree in the field of administration/academic administration I legal Master's degree with a minimum of 55% marks or equivalent grade point average, with minimum 02 years of relevant experience after the qualifying degree. IITP may follow the following process to select the candidates. How to apply IITP Junior Superintendent, Junior Assistant Vacancy?